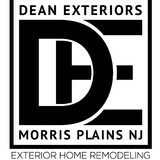 Dean Exteriors provides residential and commercial exterior renovation and rehabilitation services such as roofing, siding, decking, windows and doors. We work with homeowners, remodeling contractors, and new home builders. We provide a service of Siding, Roofing and Exterior Trim. We work for builders, remodelers, property owners, management companies, and of course direct for home owners. We focus on quality - rather then quantity. 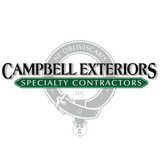 The most important objective for Campbell Exteriors is customer satisfaction. No matter what the application is siding, roofing , decking or New trim on the clients home, we need to know the client is happy with what we have done with their property. Whether it is taking an old asphalt roof and changing it over to a natural Cedar shake roof or transforming a bland vinyl sided Mc Mansion into a beautifully decorative home using built up crown mouldings and new cedar siding clap board that will change not only the value of your home, but increase your homes presence in your neighborhood. How do we achieve customer satisfaction? It is a trade secret but one thing we will share one important piece of data: We listen. That is it, we simply listen to our clients when they talk, we hear what they are saying and we incorporate their ideas into our designs. When they are happy with the outcome, they also take pride in the accomplished tasks for their project. We look forward to working toward a mutual goal of transforming the exterior of your home and working for you in the near future Please call at us to discuss your home. Part of the wonder family of Decks Unique and Natural Beauty Fence and Railing we have over 80 years of renovation experience. We install Hardie, Certainteed, GAF, Cambridge, Nicoloc amoung others. 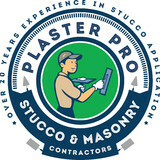 Plaster Pro Masonry Contractors is a family owned and operated full-service Stucco, Plastering and Masonry company serving the Tri-state area. We have over 20 years experience in all facets of interior and exterior Stucco, Plastering & Masonry work, both commercial and residential. Whether you are looking for a new installation, repair, rip off and redo, Venetian plaster, hard coat, white coat, brick, stone facade-- we are capable of it all. Fully insured. Free consultations available. With more than 15 years of experience, we have learned that we will always stand by our commitment to quality work and customer satisfaction. We offer you high-end quality work done by professional painters with years of trade experience, at competitive prices. 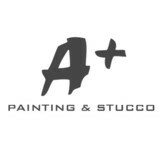 When quality and value are your only options, you can depend on us here at A+ Painting & Stucco! We are licensed and insured, and all our work is guaranteed. We don’t want you to stress yourself out worrying about costly mistakes or errors made to your home or business. We are completely committed to your satisfaction and want to prove it to you with our free estimates. Put our experience to work helping you get the most out of your home or business! We can provide you with the information you need to get the ball rolling. When you have concerns about your roof, don’t wait. Acting swiftly in response to Shingle or tile damage can decrease the amount of potential damage to the rest of your structure later down the line. Get the help you need it when you give us a call. We even offer emergency service for immediate needs. Make a complete change or update your building with a tear-off or new roof installation. Work with our design team to find the right match for your vision. When you know the winter is coming, it’s time to get your building in order. Make sure your chimney is working well, your roofing is right and other precautions are ready to go for your home or office. We always strive to give the best experience to our customers. All Seasons Roofing Gutters & Chimneys offers affordable pricing for all of our services and work that is done by a licensed and bonded team. Ask about senior citizen discounts. Speed. Quality. Price. Expertise. Vision. Niva Group's mission as a company to bring affordable, fast and professional service to everyone in Pennsylvania, New Jersey and the whole of the U.S. That is why we open offices in different states and help our customers experience the same level of customer service at every location. Using latest technologies helps us stay on top of our competition, plan, organize and proceed with workflow seamlessly as well as keeping our customers updated about the job progress on a daily basis. We know that the most painful thing about roofing and siding - will it be a new construction or existing property - is deadlines. Here at Niva Group, we work side by side with our customers to help them plan every single step of our work and organize the whole process to fit in their vision and plans. Working close with developers, we know the latest trends and techniques in design and construction. We have a long list of new materials that come to market and all of our employees and subcontractors receive first hand training from manufacture representatives to keep manufacture warranty and certifications in place as well as to make sure our customers really get tailor-made solutions combined with appropriate expertise at a fair and accurate price. One of the cornerstones of our mission is to be a leader in roofing and siding industry. Using the latest technologies and expertise alone isn't the panacea, we strive to provide a superior customer service, operating with honesty, integrity and practicing safety in the workplace. Finally, our mission as a company is to treat our staff, our customers and suppliers the way we would treat ourselves, with mutual respect and sensitivity, valuing their contributions. Llicensed in Pennsylvania (PA 077775) Niva Group LLC has been providing exceptional exterior remodeling services to the tristate area for years. Our unmatched customer service, combined with our premier workmanship and state-of-the-art materials, has established us as a leader in our field. Backed by our professional team of fully insured and experienced in-house contractors, we efficiently and affordably repair, replace and maintain all of your commercial and residential exterior needs. We take the time to evaluate your property and pick the materials that best fit the project, so it is done once, done right, saving you time, money, and concern. Estimates are always free. We have over 30 years experience. Let us design an extravagant new look for your home or building. We install brick, stone, wood & vinyl products that will transform your home into a masterpiece. See our full line of James Hardie Products We have 20 years experience in the building industry. You won't be dissappointed in the results that we can achieve! Supplier of High End Modern Products, Exterior Cladding and Professional Services. All Your exterior home remodeling needs by one home improvement contractor focused on quality service and value pricing for both large and small projects. We take pride in our personalized attention and close communication with our customers during all stages of the remodeling process. We are fully insured and licensed in the state of New Jersey. Panther Siding and Windows Inc. has been in business since 1998. Providing the best in quality work and service to all of Long Island and the 5 Boroughs. Our customers have always been our number one priority and we focus solely on their satisfaction. Combining our level of workmanship with our care for the customer is what makes us the premier contracting company on Long Island. We specialize in all phases of construction including Siding, Windows and Roofing, Kitchens and Bathrooms as well as any other type of interior or exterior work in which you would be interested. Here at Blue Nail, we enhance the curb appeal of your home with quality craftsmanship. We empower homeowners to make well-informed decisions on hiring Contractors with transparent and educational consultations. We strive to expertly remodel your home to reflect the warm personality of your family inside. As the Founder, my personal goal is to see that each of our valued clients receive the professionalism, peace of mind, and return on their investment.